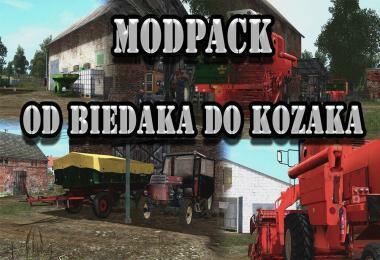 Siemanko, today I present to you the modpack from the series Bronczek and Bolek “Od biedaka do kozaka”. The package does not have the same buffalo and aggregate, because they are not released, so they are similar. Machines selected from the first episode, which appeared on the Bronczek channel.